“In a competitive environment, only those who have a strong unified message, who create and sell quality and value, will survive.” Think management guru Tom Peters has it right? You bet he does! So, what’s your organization’s unified message? You know, the story that all your employees know by heart and promote on a regular basis. Can’t recall it? Then it might be time to revisit your company’s key messages. If your company lacks adequate key messages, you’re not alone. There are many organizations in the same boat. Sometimes, it’s because they don’t see the value in developing key messages. Other times, they assume the key messages that were written a decade ago are still valid. Regardless of the reason, missing or outdated key messages can be a problem. Depending on your perspective, you may wonder what key messages are. Or you might question whether they’re worth the effort? At IronStrike, we believe key messages are the key to unleashing your organization’s potential. They serve as the foundation for all your organization’s internal and external communications efforts. Without them, your communications could come crashing down like a house of cards. Key messages are the primary points of information you want your staff, customers and the public to hear and understand. They’re designed to help organizations answer the question “What’s your story?” They focus on what you do, how and why you do it, how you’re different from the competition, and the value you bring to the table. You may have heard this referred to as your company narrative. 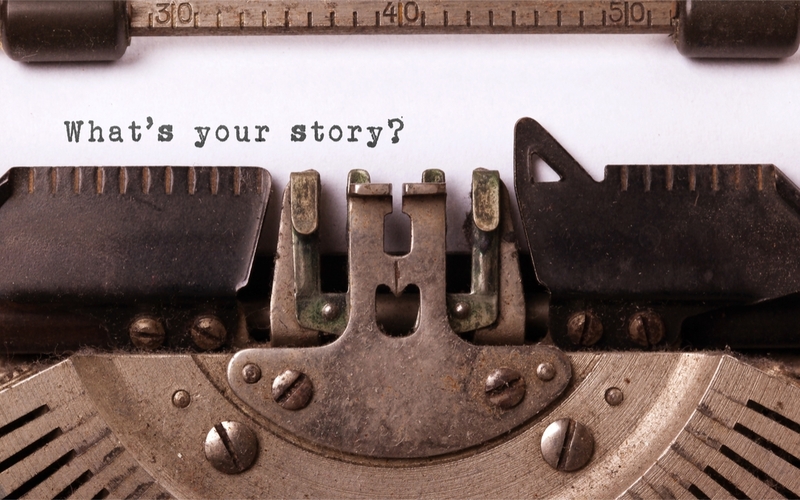 Writing your story can give you a powerful edge in enhancing employee engagement. How? By giving your employees a tangible asset they can champion. So how can you tell the difference between good key messages and bad ones? While some may argue over semantics, we think all good key messages bear some basic characteristics. First, key messages should be simple and concise. Complicated or long-winded messages are sure to miss the mark. Instead, use straight-forward language when writing your messages and make sure each can be read in 30 seconds or less. Second, key messages should be relevant and memorable. It’s important that each message gives the audience exactly what they need to know about a topic. Nothing more and nothing less. It’s also important that your messages are easy to remember. The easier they are to recall, the more likely they are to be shared accurately. Finally, key messages should be strategic and customized. Key messages should be written in a meaningful way and focused on generating a specific action or feeling. You also want to make sure they’re written in a way that meets the needs of various audiences. In some cases, you may want to tweak the language so it resonates better with specific groups. The first step is to gather all relevant information that can help you develop your key messages. Things like your company’s business goals and strategy, any recent research, and input from key constituents. And let’s not forget about any previous key messages that might be collecting dust on a shelf somewhere. In addition, make sure you know your brand voice. And take time to identify any barriers or opportunities you might want to incorporate into or omit from your key messages. Finally, make sure to review your competitors’ messages. The last thing you want is to end up with similar key messages as the guy down the street. After all, you should be different than the competition. And if you’re not, you should seek to be. After you’ve completed the information-gathering phase, you’ll want to evaluate and pinpoint your audiences. Think first about your primary audiences. Then your secondary audiences. Are there some that overlap? For instance, do you have employees who work in more than one department, and might hear similar or even conflicting information? Are there other limitations or barriers you need to keep in mind? For example, are a third of your employees based in another country where they speak a different language? If so, you’ll want to think about how your key messages will translate into other languages and what nuances might be different. Keep in mind, too, that external people will likely have a much narrower understanding of what your company stands for. Even more reason to keep your key messages short and on point! After you’ve gathered all your messaging needs and audiences, it’s time to get down to business. If you’re developing key messages for your organization for the first time, you might consider hosting a brainstorming session with key stakeholders. Those at the table should represent many different functions within your organization. Everyone from leaders to line staff and board members to customers. In gaining input from these various audiences, you’ll help ensure both buy-in regarding the need for key messages and that the messages will be communicated later. The purpose of this meeting is simple: Define the major topics for which you want to develop key messages. The conversation should remain somewhat free flowing and allow people to share their perspectives. So be sure to have lots of whiteboard space or easel pads to capture everyone’s thoughts. What are the core benefits you want to convey about your product, service or mission? Why should people care (think What’s In It For Me, or WIIFM)? How is it different or unique? What value does it offer? Are there opportunities that exist? After all this information is collected, you’ll be able to create a key messaging document for each of your key audiences. This document will include content that is the same regardless of audience—such as a recap of your mission, brand statement and position statement—as well as the key messages relative to a specific audience. Your key messages should be supplemented by as many proof points as possible. These points help bolster the story and give people a “reason to believe.” The more specific you can be, the better. So, find facts, figures and percentages to prove or affirm your story. Key messages are good only if they resonate with people. We don’t know about you, but we’ve found over the years that organizations tend to use a lot of jargon and technical language in their messaging. Sometimes people do this because they’ve latched on to words other people in the company use as part of the culture. This is often referred to as corporate-speak. Others use jargon because they’re knowledgeable about the topic and don’t realize they’re “talking above” others. However, this often not the best approach when you’re talking to the masses—whether it’s employees, customers, board members or other stakeholders. Do they support your overarching goals? Are they conversational and easy to understand? Do they motivate people to take action? It’s also good to consider testing your key messages with not only internal audiences, but also external folks. An easy way to do this is through focus groups. At IronStrike, we often help clients with this type of qualitative research. If you choose this route, you’ll want to ensure your focus group includes of the type of people you’d find in your target audience. This testing allows you to identify issues upfront and gives you insights on how you can maximize your key messages. Once the key messages are complete, you’ll want to present them to your leadership for final approval. Remember, some or all of this group may have already been a part of the early conversations, so there shouldn’t be any surprises. And don’t worry if something popped up during testing that caused you to go down a slightly different path. Just be sure to have your ducks in a row and be able to explain why the redirect is prudent. While you may be “done” with writing the key messages, your job is far from over. Key messages should change with new goals, strategies, and services and products, so you’ll need to regularly review them. At IronStrike, we recommend looking at them at least once a year. And potentially doing a more-thorough refresh every three years. Be sure to evaluate them against your business needs, as well as any current trends or issues that might impact your company or industry. Communicate, communicate, communicate. We can’t say it enough. Key messages that disappear into the dark crevasses of your computer are of zero value. Same goes for those that end up printed in a binder on your desk. The key to making key messages stick is making sure you communicate them—and their value—to your staff. Over and over and over. Repetition keep them top-of-mind and helps employees retain them. They should become part of the fabric of your culture. So, make sure you’re talking about them every single day. So how do you do that? It starts with developing a communications roadmap. At IronStrike, we help clients not only write their key messages, but also develop an internal communications plan that allows them to put the messages to work for their organization. When it comes to employee engagement, key messages are quite simply the key. It all starts with building your company narrative—and then allowing your story to serve as your organization’s soul. It’s not complicated. In fact, it’s easier than you think. Let us help you get started on telling your story! If you’d like more information on other ways to build employee engagement, check out our recent 3-part blog series: Part 1: Two-way communications; Part 2: Employee recognition; Part 3: Authentic communications.